The Rumpus! An Evening of Live Storytelling will partner with Actors Repertory Theatre this season! 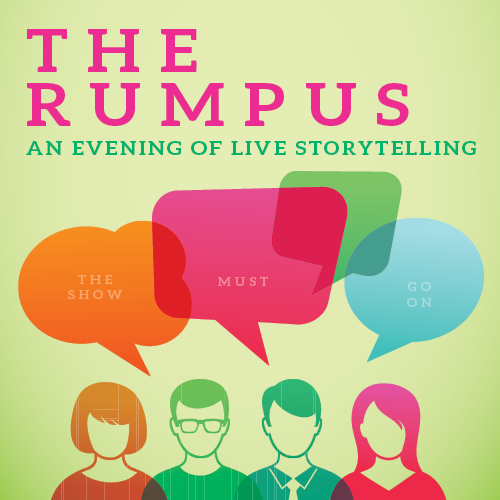 Seven Storytellers will tell first person true stories related to the theme “The Show Must Go On!” The Rumpus is Rutland’s own monthly storytelling event inspired by NPR’s The Moth. You won’t want to miss this show!